Happy 1 Year, Craft Blog!! « She just can't sit still! Happy 1 Year, Craft Blog!! I started this journal after returning from the Sheep & Wool Festival at Mt. Bruce Station in 2006. I returned for the fourth year in a row yesterday and left with 3.5 lbs of fiber and about $144 less in my bank account. I imagine when I’m through, salve I’ll have been able to make 3 sweaters and some extra for striping in other projects. Tops on my list was an Alpace 50%/Mohair 30%/Wool 20% with sparkly bits. This is soft and the colors are incredible. The best way to explain it is that it looks like flame. I got 16.3 oz for $46 I ended up spinning one bobbin of it last night and I’m planning on spending the better part of this afternoon with it. If you click this pick, pharmacist you’ll get the original size so you can see the detail, viagra order it’s really gorgeous. Wiley Woolies had their angora rabbits which I am always fond of wishing over. 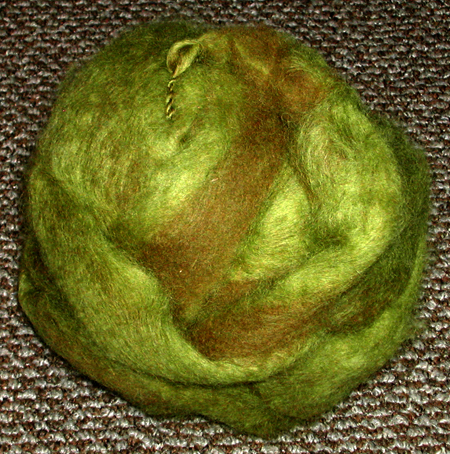 This year they had bags of batts for felting or spinning. 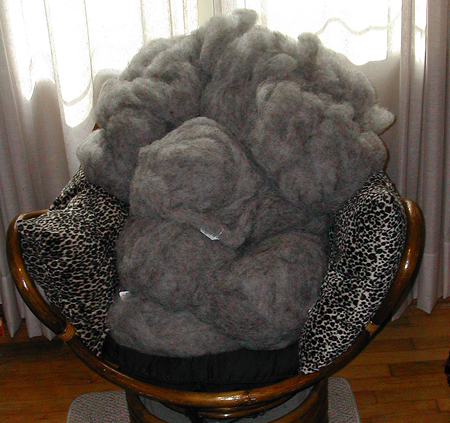 I picked up 15 oz of a 50/50 angora/merino blend for $45. There are actually 2 batts, one pale grey, one charcoal grey. I seriously want to wrap my body with these batts, they are so soft!! 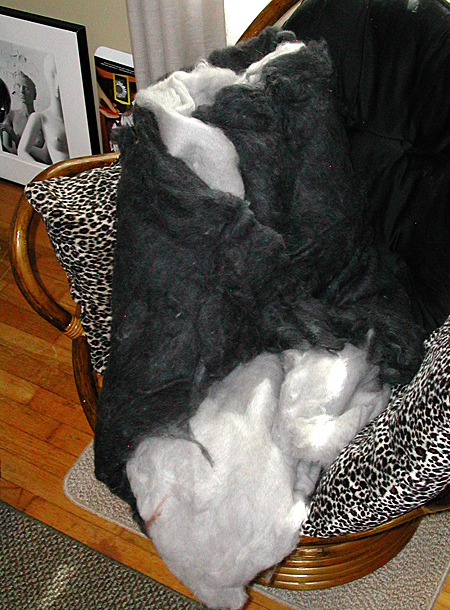 And my final score was 21.8 oz of a heathered grey Jacob that is about as fluffy as summer clouds for $39. I want to make a thick sweater out of this that either I or my husband can wear during the winter. I’m searching out just the right pattern. I have enough of this to do a triple ply if I want! These are the same local folks that provided me with the amazing babydoll southdown that I used to make Brian’s sweater. The show wasn’t as big as years past, but it certainly provided me with some fiber that make me very happy. And speaking of which, my break is over (I also ran out to make a 3′ grapevine wreath with some wild vines Brian found while prepping wood for the winter’s heating), now it’s time to go back to spinning the pretty things I have! 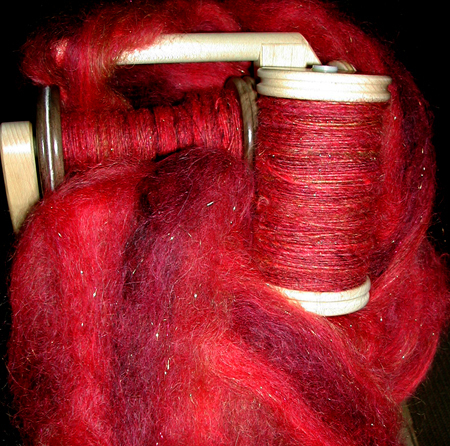 This entry was posted on Sunday, September 30th, 2007 at 1:38 pm	and is filed under Fiber Arts, Spinning. You can follow any responses to this entry through the RSS 2.0 feed. You can leave a response, or trackback from your own site.